Cicada 3301: Will the mysterious game go on in 2017? Cicada 3301 is an internet game operated by a secret organisation since 2012. A new round always starts on January 4 of a year. Will round number six be launched tomorrow? On January 4, 2012, an unknown user posted a steganographic puzzle on the internet portal 4Chan. The solution of this puzzle led to a new one, the solution of which led to another one, and so on. The chain of puzzles involved websites, telephone connections and real places. 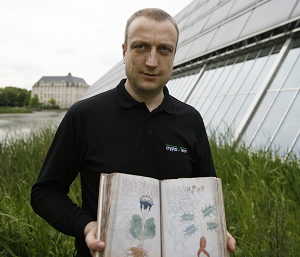 The puzzles focused heavily on data security, cryptography, and steganography. The puzzles along with potential solutions were discussed on various internet forums. The most important international Cicada 3301 site is the Uncovering Cicada Wiki. The comment section of my German Cicada 3301 blog article became the most popular German discussion forum with now more than 250 entries. Will round six start tomorrrow? After about four weeks no new solutions or puzzles were reported any more. However, on January 4, 2013, exactly one year after the start of Cicada 3301, a second round of the game began with a new puzzle. A digital signature that could be verified with a public key posted with the first puzzle indicated that the new puzzle was genuine. Again, the unknown organiser published a long chain of puzzles that ended after a few weeks without anything else happening. A third round started following a fresh signed clue posted on Twitter on January 4, 2014. 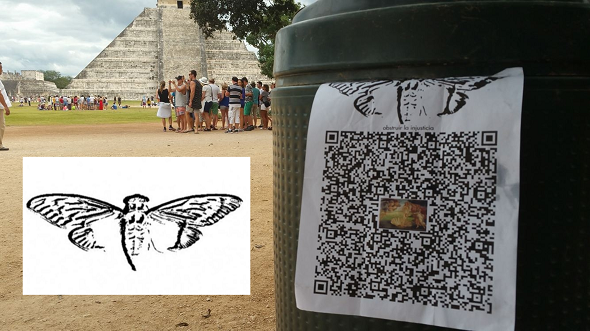 Again, a large community of people worked on the Cicada 3301 puzzles for a few weeks until no further solution or puzzle was found. 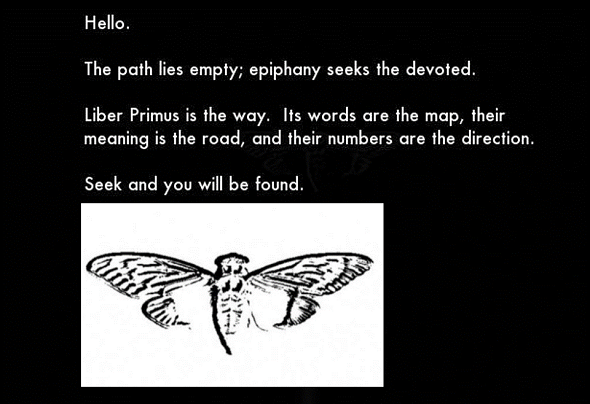 Round number four of Cicada 3301 was expected to start on January 4, 2015. However, no new puzzle was dicovered. It is still unknown to date, whether the secret organisers didn’t publish a new clue or whether they took a break. A new Cicada 3301 puzzle was posted on Twitter on January 5, 2016, which started round number five. Now that the year 2017 has started, the question is: Will Cicada 3301 continue tomorrow? Who are the people behind Cicada 3301? Cicada 3301 might be organised by a secret service aiming to find smart people in order to offer them a job. Cicada 3301 might be organised by a major company as a part of a marketing campaign. In fact, there have been marketing campaigns starting with a mystery before (e.g., Segway). However, waiting for five or even more years before the mystery (and the product advertised) is finally revealed is unheard of. Cicada 3301 might be organised just for fun by some excentric individual or a small group of persons. In any case the organiser(s) of Cicada 3301 must have some affinity to cryptography and steganography, as most of the puzzles involve encryption or data hiding. Maybe we will learn more in the next round of the game – if there is one at all. As soon as you know something about round six of Cicada 3301, please let me know. Bin ebenfalls gespannt ob was neues kommt. Mal abwarten. Are there any new update? Ja hoffe dieses Jahr kommt ein cicada 3301 raus kennt irgendwer Seiten um Informationen zu sammeln? Eventuell wird man irgendwo auf 4Chan fündig. Auf dieser Website ist jedoch ein gewisser Grad an Vorsicht zu empfehlen. I am interested in the whole 3301 thing , does anyone know if they have a new post yet? This was a very interesting story. My guess: US Army Social Media PsyOps, 77th Brigade — except that they used international sites and had callsigns, such as Hernn Wind. Could not find anything so far. Does anybody know more? I believe they still want people to finish the Liber Primus puzzle. So i expect no new puzzle this year or another message/hint to keep us working at it, like last year. wenn nicht dieses Jahr wann dann? 2017 ist eine Primzahl und damit bestens geeignet für Cicada3301. Die letzte Nachricht ist bisher aber vom 06.01.2016. Der Startzeitpunkt war flexibel und nicht auf den 4. Januar fixiert. dort werden auch mehrere countdowns angezeigt. nach dem ablaufen des letzten countdowns hat wikileaks pandammic released. das ganze wird recht extrem auf yt in szene gesetzt, teilweise auch mit bekannten namen. besonders interessiert mich hier defango, der diese ominöse cicada3301 seite verlinkt und auch im discord wird behauptet es handele sich wirklich um ciccada rätsel. vlt kannst du ja mal drauf schauen und nem technik anfänger sagen ob da was dran ist.